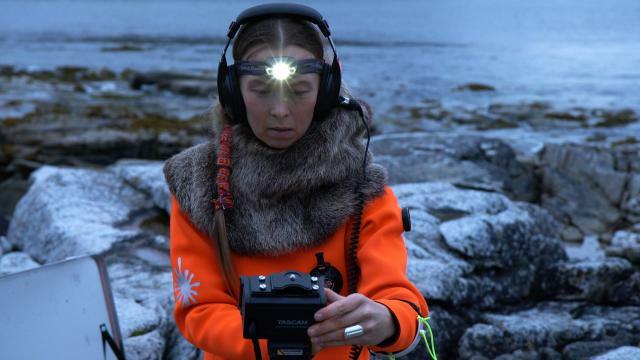 The Institute of the Arts and Sciences and the Center for Creative Ecologies presents: Ursula Biemann's Geomorphic Videos. Tuesday, November 6, 7-8 p.m. Drawing attention to the social and biological micro-dynamics at work in the massive physical encroachments of resource extraction and engineering, artist Ursula Biemann elaborates far-reaching territorial and climatic transformations in her videos. Her recent fieldwork has taken her to the Amazon and the Arctic region. Engaging with the political ecology of oil, ice, and water, the artist interweaves vast cinematic landscapes with documentary footage, SF poetry, and academic findings to narrate a changing planetary reality. This screening is organized in conjunction with the exhibition Forest Law by Ursula Biemann and Paulo Tavares at the Mary Porter Sesnon Art Gallery (October 3- December 1). Ursula Biemann is an artist, researcher and video essayist based in Zurich. Biemann’s work explores the uneven resource distribution, climate change and ecologies of oil and water as principles of planetary organization of power.